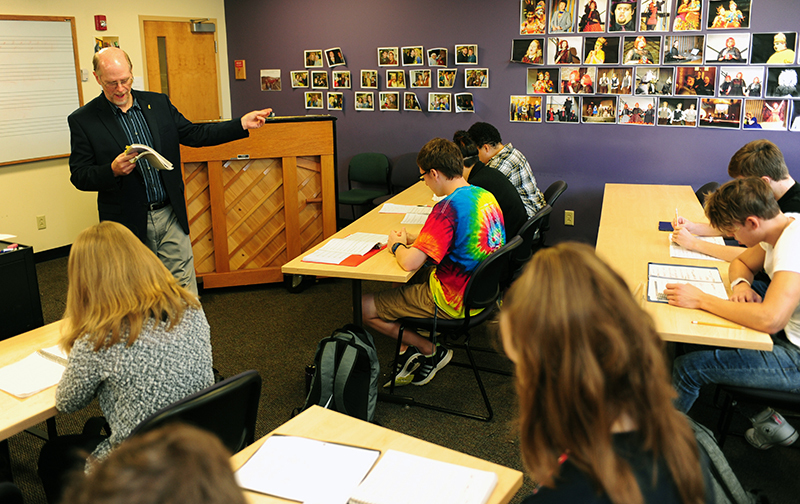 Accolades are nothing new to Malone University's well-respected and accomplished Professor of Music Jesse Ayers, whose compositions have been performed in nearly a dozen countries and more than 100 U.S. cities. Yet being named the Ohio Music Teachers 2019 Commissioned Composer of the Year felt particularly special, as most recipients of the award are from much larger universities. "I am humbled and excited to receive this honor from Ohio's oldest organization of professional music teachers," Ayers said. "I'm looking forward to the challenge of composing a new piece worthy of one of Ohio's most important music associations. I am also excited that Ohio's music teachers will see that their 2019 commissioned composer is from Malone University." As the Commissioned Composer of the Year, Ayers will create a new work to be premiered in October at the 2019 OhioMTA state conference. Ohio MTA was founded in 1879 and is affiliated with the Music Teachers National Association, founded in 1876 and the nation's oldest organization of professional music teachers. Ayers was the winner of the inaugural American Prize for Orchestral Composition in 2011, and was named an "Honored Artist" of the American Prize in 2014. Recent honors include First Prize in the 2016 Opera Kansas Zepick Modern Opera Composition competition, a 2014 Ohio Arts Council Individual Artist Excellence Award, the 2013 Boston Metro Opera Concert Award, co-winner of the 2011 Dayton Ballet “New Music for New Dance" competition, and a 2010 MacDowell Fellowship. Recent commissions include those from the Akron Symphony, Soprani Compagni, the Indiana Bandmasters Association, the Ohio Private Colleges Instrumental Conductors Association, the Wisconsin Lutheran National Honors Band, and Milligan College. Much of his music is scored for large "surround-sound" forces and explores the intersection of the spiritual and natural worlds and the redemptive intervention of God in the affairs of the human race. Learn more at jesseayers.com.